On 12 October 1903, the Winnipeg Casket Company Limited was founded at Winnipeg as a $25,000 capital stock company. Its founding directors included Arthur McConville, Mary Loreta McConville, and Henry Edward Diebold of Minnesota, along with Arthur Lawrence Diebold and Amelia Louisa Diebold of Calgary, Alberta. 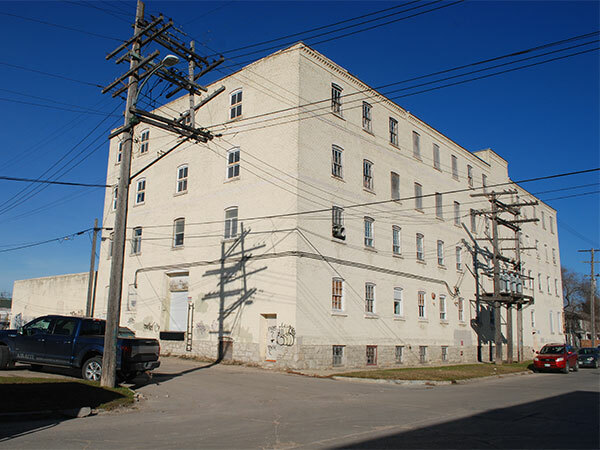 The firm purchased eight lots north of the Old Exhibition Grounds on Manitoba Avenue, near the Canadian Pacific Railway Selkirk Branch Line, by which they brought in equipment for their plant. Architectural plans for the building were finalized in mid-October 1903. The wooden frame structure was opened in less than two weeks, on 1 November, and employed around 50 people to manufacture caskets, coffins, hearses, ambulances, and related equipment. 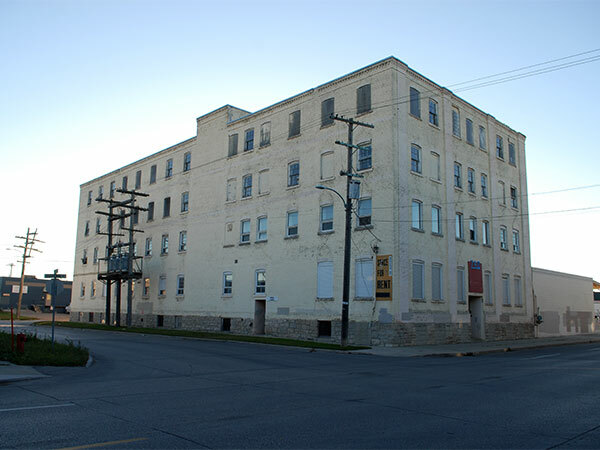 Business grew steadily and the company expanded its operational capacity through the spring of 1904, by which time the factory was a two-storey building measuring 40 feet by 80 feet. Disaster struck on 3 October 1904. A fire broke out in the building and the alarm was raised only after employee Harry Gildmaster ran to the Exhibition Grounds. Fire crews were dispatched from Fire Hall No. 3 and Fire Hall No. 5, but their efforts were mostly futile given severely muddy roads and the extended lengths of fire hose that were necessary. After some 1,250 feet of hose were connected from the nearest hydrants on Selkirk Avenue and Battery Street, the water pressure was insufficient to quell the flames and the building was quickly reduced to ashes. Damages tallied some $20,000 of which around $13,000 was covered by insurance. The precise cause of the blaze was not determined although allegations were made that sparks given off by an engine on the adjacent rail line ignited wood shavings inside the building. The company did not rebuild and the name was dormant until December 1906 when the shares were purchased by a new parnership. The former Board of Directors resigned and the new business venture resurrected the name for a new factory on Dufferin Avenue. On 8 May 1907, the Winnipeg Casket Company was incorporated as a $150,000 capital stock firm at Winnipeg. Its founding directors were William Herbert Antis of Des Moines, Iowa (President), Charles Henry Enderton, Charles Wesley Fillmore (Secretary-Treasurer), Parker William Fillmore, Frank Christopher Bell, and Charles Parish Bell (Manager). This new firm acquired land on the southwest corner of Dufferin Avenue and Parr Street and commissioned architect Herbert Edward Matthews to design a building for the site. Foundation work was underway by May 1907 with the stone foundation supporting a high-ceiling basement. All four storeys above ground featured brick walls and interior timber beams. Inside the facility was an engine house and large drying kiln for wood, the latter measuring 42 feet by 50 feet. Construction was completed around October 1907 at a cost of $40,000. The firm employed some 50 people. The facility suffered major fire damage on 4 March 1908 when flames from the kiln ignited surrounding wood. Though the area was sealed off with interior iron doors, nearby structural joists and truckloads of wood caught fire, and the inferno quickly spread. The fire alarm was answered by Fire Hall No. 7, later joined by crews from Fire Hall No. 1, Fire Hall No. 3, and Fire Hall No. 9. Within 90 minutes, fire in the workroom was doused though at least three drying rooms still remained ablaze. With the additional fire brigades on site, three hoses were brought up to the building’s roof. Holes were chopped in the roof and water was poured inside until the blaze was eventually extinguished. Damage totalled $35,750 in insured losses (structural and equipment losses) and a further $5,000 of non-insured wood stock. The firm restored the building and operations continued here for decades. “New industry for Winnipeg,” Manitoba Free Press, 18 May 1907, page 27. “Many firms incorporated [A casket company],” Winnipeg Tribune, 8 June 1907, page 11. “Permit for casket factory,” Manitoba Free Press, 1 July 1907, page 32. “No time extensions for contractors [Fire, Water, and Light Committee],” Winnipeg Tribune, 21 August 1907, page 2. “New building gets a scorching,” Manitoba Free Press, 5 March 1908, page 12. “[Canada and local; The head office of the Winnipeg Casket Works ...],” Manitoba Free Press, 2 October 1908, page 9. Companies Office corporation documents (CCA 0059), 193w Winnipeg Casket Company, Archives of Manitoba.